Welcome to Ark Animals Answers! Conduct fundraising for pets in your local area and send those in…while you also volunteer to establish disaster management plans for animals in your region. Use this time to prepare an animal disaster kit for your pets and develop a crisis plan for your family and neighborhood. A little bit of prevention goes a long way. 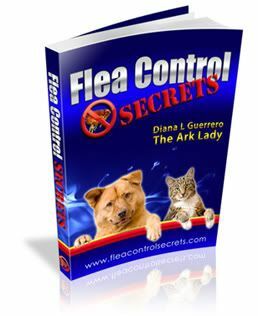 This is animal behaviorist, Diana Guerrero inviting you to take an armchair safari into the animal kingdom at http://www.arkanimals.com. Thanks for joining me for today’s Ark Animal Answers and feel free to contact me with your questions. The American Alligator known as “Harbor Park Harry” has eluded capture by reptile wranglers and seized the hearts of people everywhere. Alligators are carnivorous. They can live up to 50 years and grow from 8 to 11 feet and a big gator can weigh up to 1,000 pounds. Alligator jaws can crack a turtle shell but the muscles to open them are so weak that wranglers can easily keep their jaws shut with their hands—or duct tape! The alligator is also the official state reptile of Florida. And when the Spanish word for lizard was mispronounced by English sailors, it became alligator over time. Harry is a former pet who was abandoned by his owner–so my main point is to remind you that wild animals don’t make good pets. This is animal behaviorist, Diana Guerrero inviting you to take an armchair safari into the animal kingdom at www.arkanimals.com. Thanks for joining me for today’s Ark Animal Answers and feel free to contact me with your questions.